CHECK THE CAVENDISH VT FACEBOOK PAGE DAILY FOR THE LATEST NEWS www.facebook.com/cavendishvt You don’t have to be a Facebook subscriber to see this page. CTES and GMUHS Principals Retiring: George Thomson of Cavendish Town Elementary School and Tom Ferenc of Green Mountain Union High School have both recently announced their retirements at the end of this school year-June 2018. Cavendish Christmas Spirits and CHS News: The Cavendish Historical Society (CHS) has posted their December News Briefs at their blog, which will keep you up to date on what’s happening with CHS. This December they are collecting Cavendish Christmas stories, which if they receive enough of them, they will hold a Christmas Spirit Walk close to Christmas. Scott Administration Recommends 9% Property Tax Increase: The Scott administration is recommending a nine-cent increase in the statewide property tax. The administration is required to make a rate recommendation to lawmakers each year. It released its recommendation letter Thursday. The residential rate recommendation is an increase to $1.59. The nonresidential rate recommendation is an increase to $1.62. • Stuff-A-Bus: From 9 a.m. to 3 p.m. in the Shaw’s Market parking lot in Ludlow. Food shelf volunteers will hand out holiday dinner menus and will ask shoppers to help with the foods most needed: canned fruit, cranberry sauce, pickles, olives, mac & cheese, hot chocolate, cookies, tea, cereal, candy, canned carrots, peas, green beans and corn, gravy, stuffing, soup and coffee. 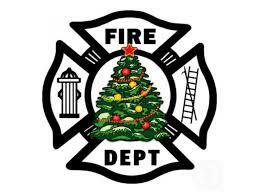 DECEMBER 2-3 (SATURDAY-SUNDAY): Christmas Tree and Wreath Sale at the Proctorsville Fire Dept. Trees are VT grown and range in size from 5ft to 10ft and start at $30. Christmas Tree sale will also be taking place at the Cavendish Fire Dept. DECEMBER 5 (TUESDAY): Gethsemane Church Community Lunch at noon will feature choice of chili or potato leek soup, corn bread, salad and fruitcake bread pudding. Everyone is welcome. The Church is located off of Depot Street in Proctorsville.